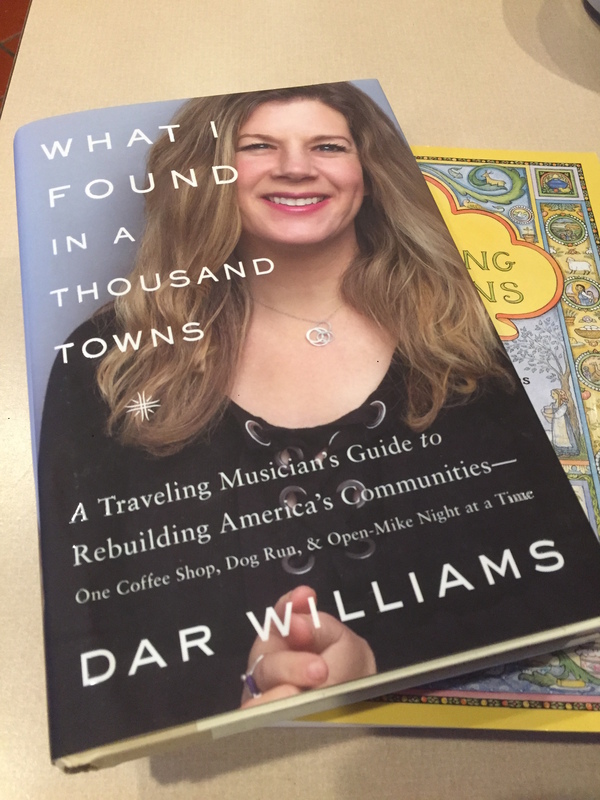 I am indebted to Chelan Mayor Mike Cooney for introducing me to this invaluable resource — What I Found in a Thousand Towns – A traveling Musician’s Guide to Rebuilding America’s Communities, by Dar Williams. Cooney was so captivated by this book that he has purchased a copy for every council member in Chelan. After reading it, I can see why. The good folks at Riverwalk Books were kind enough to order a copy for me and it has proven to be an inspiring manifesto on ways we can further enhance the civic life of our towns. The good news is that the towns of North Central Washington are already doing many of the things that Williams describes that contribute to the health and vitality of our communities. What distinguishes this region is the sense of community contribution that exists here. Sure, we have some folks who could care less about their neighbors, but the vast majority of people from all walks of life exhibit a tremendous sense of pride in their towns and a noble spirit of giving to help others and leaving our communities better than we found them. We see this in the work of our great foundations, including the Community Foundation, the Wenatchee Valley College Foundation, the North Central Education Foundation, the Washington Apple Education Foundation, and so many others. We see this spirit exemplified in Make A Difference Day and in the way people rally to help when there is a need. A sense of the greater good is why we have Pybus Public Market. The Our Valley Our Future effort that taps into the power of every willing soul to improve the Wenatchee Valley is yet another example. We see this expressed in the work of Chelan Valley Hope, Upper Valley MEND and Cashmere Cares. There are an infinite number of ways these community values find expression here. Because of these constructive efforts, the sense of belonging that exists here is profound. If we ever allow that strong sense of giving back to dwindle, the region will be greatly diminished. In her book, Williams talks about the importance of growing positive proximity — that creating ways for people to interact in meaningful ways is the essential element for sustaining thriving communities. She identifies three categories for growing positive proximity. First, developing indoor and outdoor common spaces that maximize good interactions is crucial. She talks about the power of Café culture, bars and other establishments to bring people together in settings that promote dialogue. Think about how Pybus has created a positive dynamic in the Wenatchee Valley. The second category includes projects that build a town’s identity — socially, culturally or historically. Make a Difference Day in the Wenatchee Valley and the Empty Bowls effort in Leavenworth that supports the local food bank is examples. The third category she describes as “an abstract concept called translation.” This is about a commitment to giving voice to all of the aspects and personalities of a town. It’s creating a “place to incorporate every willing citizen’s contributions and in so doing find ways to make life more interesting, welcome the outside world and provide stability for those who need support,” she writes. Williams has articulated a great prism by which we can think consciously about how we can further enhance the sense of community in our towns. The book is an amazing resource for ways we can continue the work of building thriving communities that tap into the strengths and abilities of all willing citizens. The Art of Community NCW project is dedicated to creative community building in our region. It is aligned with the CivIL Project – Cultivating Vision, Inclusion and Leadership, in partnership with the Wenatchee Diversity Advisory Council.